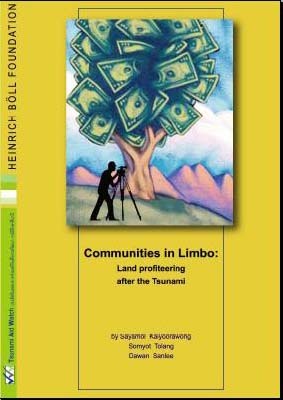 Communities in Limbo: Land profiteering after the Tsunami. By Sayamol Kaiyoorawong, Somyot Tolang and Dawan Sanlee,2008. 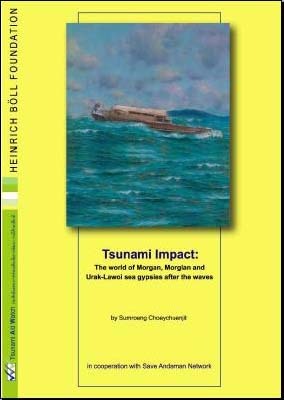 Tsunami Impact: The world of Morgan, Morglan and Urak-Lawoi sea gypsies after the waves. Building for the Future. 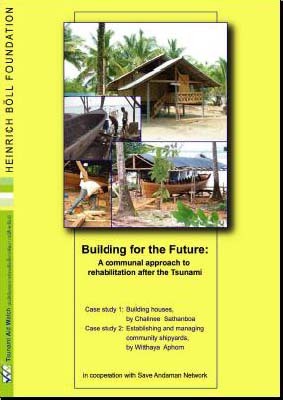 A communual approach to rehabilitation after the Tsunami. Case study 2: Establishing and managing community shipyards,By Witthaya Aphorn. In cooperation with Save Andaman Network. Edited by TAW, Chiang Mai 2008.